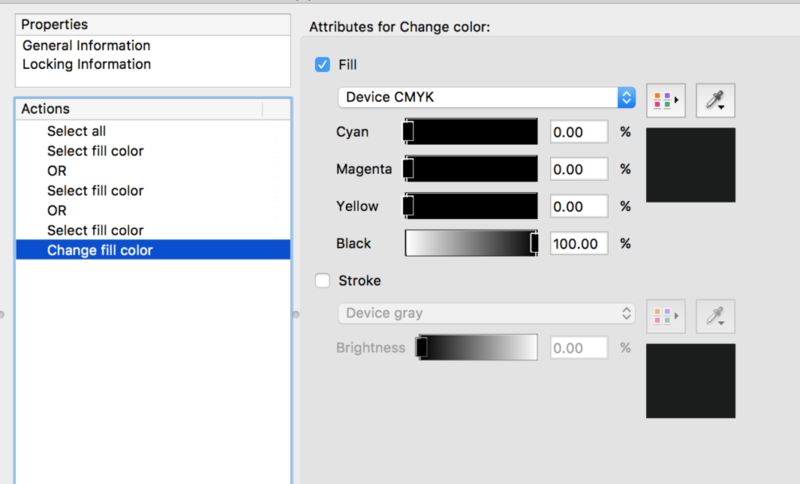 Home » News » Features In Depth » How Can I Change Rich or CMYK Black to True Black in PDF Files? For the “Select colour” actions, you will specify the different colours that you want to select. 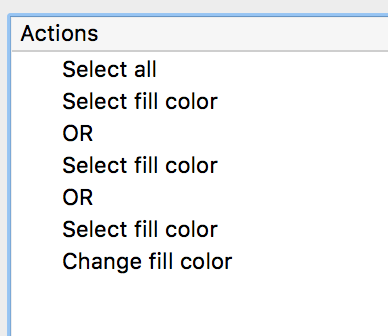 Notice that the action is showing as “Select fill colour” instead of “Select colour”. This is because we have the fill checkbox selected in the action. 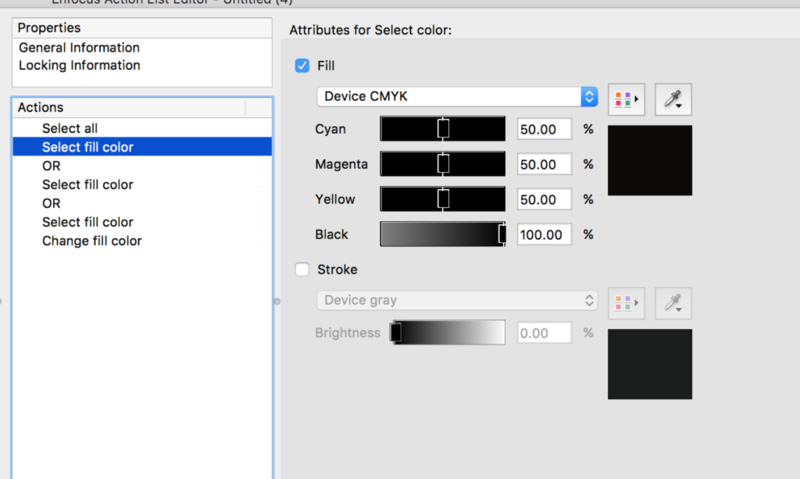 You add the “OR” operator to make sure that you select any of the three CMYK combinations specified in the Action List. Translated for humans, it would read: Select any CMYK – 50, 50, 50, 100 as well as 70, 35, 40, 100 as well as 35, 60, 60, 100. If more than one colour combination object is present, both will be selected. In the “Change fill colour” action we specify the colour wanted. If you would like to select within a colour range, for example 30 to 40 C, 50 to 55 M, 50 to 60 Y, 90 to 100 K then that is possible as well. Instead of using the “Select fill colour” action, you use the “Select colour range” action. If you want to search for RGB or Spot colours that is also possible. First, this Action List will save you the hassle of searching for rich black objects manually, and secondly, multiple colour combinations can be configured to be converted with a single click. It’s a huge time-save and it’s a lot more accurate than manually searching and replacing colours.